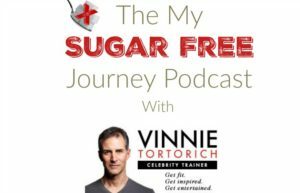 The First Episode of The My Sugar Free Journey Podcast with Vinnie Tortorich! The first episode of the My Sugar Free Journey Podcast is finally here! Due to lack of planning and understanding abut how exactly podcasts work on my part, you can’t subscribe to it yet in iTunes but if you have an android phone, you can copy this RSS feed into your podcast app and it will subscribe. UPDATE: We are now in iTunes! Just click here to subscribe! Also if you are new to podcasts, you will need a player on your phone to listen. (or just use the embedded player below) I use BeyondPod and it works fine. Just go to “Add Feed” in the sidebar and paste this RSS link into the search bar and it will take it from there. I promise by next week, I will have stream-lined this process a ton. So before we get into this week’s episode, I have to say how thrilled I am that Vinnie agreed to be on my inaugural podcast. 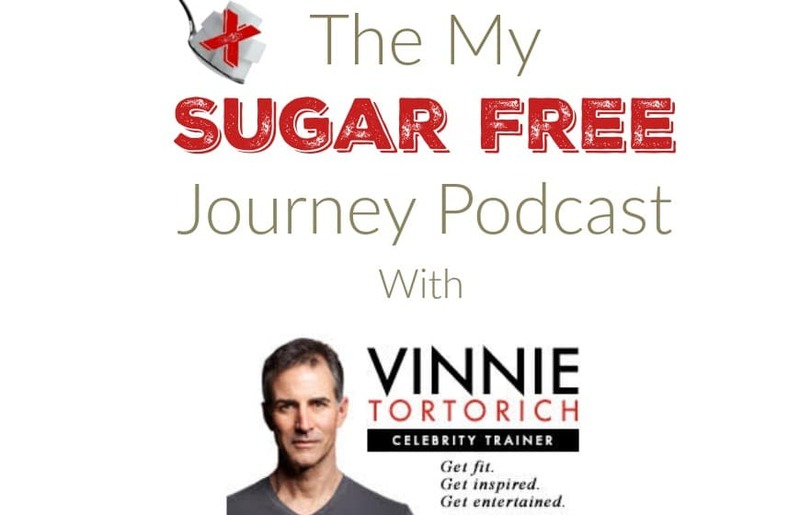 You will hear in this episode how important he was to my sugar free journey but what you won’t hear is how choked up I got when I first started talking to him. I had one foot in the grave and was so desperate for something that would work and it was Vinnie that first opened my eyes to what carbs do and why you should get them out of your diet. Also, this will (hopefully) be a listener supported podcast so i fyou would like to help out with some of the costs associated with this, there are 2 ways you can chip in. First, if you look on the left sidebar, there is an Amazon widget and link. Before you buy anything from Amazon, click that link first. It doesn’t change what you pay but it gives me a few percentage points and every little bit helps. Or you can click the Paypal donate button right above it and give directly. Thanks! Please head over to Vinnie’s blog and subscribe to his podcast and email. You can also follow him on Twitter where I swear he answers every question people throw at him. You can also pick up Vinnie’s vitamins here. Dian and I have been taking them for about a year now and they work great and fit very nicely into a frugal lifestyle. You can’t beat getting great vitamins delivered to your door for less than $10 a month. PREVIOUS POST Previous post: 7/27 Weightloss Wednesday: Major Milestone Reached! NEXT POST Next post: 5 Tips for Eating Keto on a Budget!